In Silat Constant Motion Fighting is used in almost every facet of the art. The only exception is when you are hiding and when you are in stationary decoy and welcoming postures. Some welcoming postures stand still as part of the trick of deception and decoy. The rest of the time the art moves and for very good reason. The culture where Silat is from is a bladed tribal based culture where multiple attackers are the norm. If you stand still against an attack from multiple attackers swinging bladed weapons who are attempting to hack you to bits then you will most certainly die. 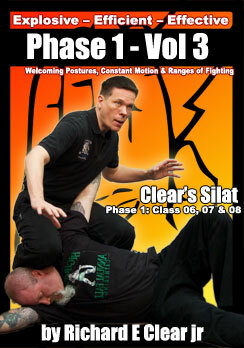 As a result in Silat, Constant Motion Fighting is a hard and fast rule of survival. Silat Constant Motion Fighting can be used to run away to live and fight another day. It can also be used to furiously and continuously attack until your opponents can no longer attack you. 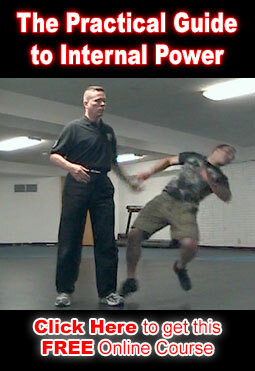 In Silat Constant Motion Fighting is generally used for one or both of these purposes. In extreme self defense situations standing in a pose and waiting for the attackers to come to you one by one will get you killed as they will simply surround you and then overwhelm you or hack at you with their blades until you eventually bleed to death. Constant Movement is essential to avoiding such a terrible outcome. A moving target is much harder to hit. If an attacker chases you to hit you and you are properly trained then there is an excellent opportunity for you to use Silat Constant Motion Fighting to hit them while they are trying to get into position to hit you. The opponent never gets to strike you because you continuously hit and run them until they are so injured that either you can escape (the first and best legal choice) or finish them off if necessary. If an attacker wants to stand and fist fight Silat Constant Motion Fighting immediately disrupts their plans because we simply won’t stand still for it. Most kickers can not kick while they are running or even while walking and usually they stop walking to aim and throw a kick. When the attacker stops you are still moving and so the attacker usually can not land a foot on you at all. Grapplers have the same problem. Remember the UFC matches where the 2 opponents would run around the ring for 30 minutes because every time the grappler would shoot in he would get empty air or get hit on his way in as the defender moved out of the way. Silat Continuous Movement Fighting makes it quite difficult for a grappler to get a decent grab on you and they can not easily lock you up because the constant movement makes it hard for them to get in close enough to tie you up. If the grappler insists on trying to get a serious grab on you while you are continuously moving then they usually become quite vulnerable and expose themselves in ways that make it easy for you to get them in ways that most fighters find unacceptable when their life is on the line. This is simply because it takes so much more commitment and energy to grab and hold a moving target. As an example I will simply state this: A child or small animal that wants to be picked up is generally easy to get a hold of and secure. A small child or animal that does not want to be picked up and runs from you can be quite difficult or nearly impossible to get and if they are fighting then you are most likely going to get bit, kicked and scratched even though you are a lot bigger and stronger than them. If they know where and how to hit and hurt you then imagine that as opposed to the random striking, clawing and biting they are likely to do. Play with Silat Constant Motion fighting while on the move for a while. At first you may only be able to evade. If you have the patience for it you will also find that most opponents will be unwilling to commit to attacking you. As you practice and get better at it you will be able to move and attack at the same time. You can also drill moving and attacking against a training partner whose job it is to get to you without getting tagged by you in the process. After you get good at it drill Silat Constant Motion Fighting against multiple attackers.